Unique winter formal theme ideas help make your formal dance a one-of-a-kind experience. Forget a Snow Ball or Winter Wonderland, think outside the box by looking at things associated with winter to create a cool new theme. Winter weather and related apparel make great themes for formal dance decorations. Look past the obvious icicles and snow globes for a unique winter weather theme. Go beyond a simple Snow Ball or Snowflake Soiree and create blizzard-like conditions with a white party. Ask all guests to wear white from head to toe giving the appearance of a blizzard when the crowd gathers. Use splatter painting techniques to create blizzard-like photo backdrops. 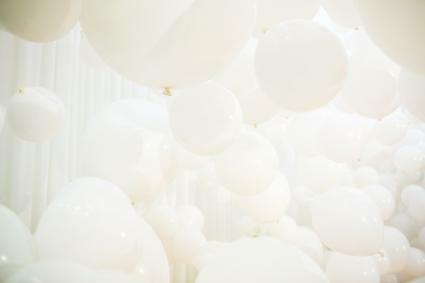 Fill the event space with white balloons. Blow fake snow around the dance floor with a snow machine or wind machine. Celebrate the beauty of winter's most popular apparel, coats! Coats serve the basic function of keeping everyone warm, so infuse warmth into your theme. Ask all guests to wear a formal coat as part of their outfit. Feature a "coat room" as decoration by lining up rows of antique coat racks along one wall where guests can hang theirs if they get too hot. Use luxurious coat fabrics as accents like fur or faux-fur pillows and blankets or wool tablecloths. Use antique and elaborate buttons as table decorations. Ice skating is considered an elegant sport and often features elaborate, bling-y costumes. Create the feel of an Olympic figure skating venue at your formal. Ask girls to wear short, skating-inspired dresses and guys to wear shiny fabrics. Decorate with sequined fabrics, bright colors, and lots of crystals to resemble figure skating costumes. Make a play list of songs used by Olympic Gold Medal figure skaters over the years. Purchase synthetic ice panels and create a faux indoor skating rink in one corner of the room. The Northern Lights are a beautiful spectacle in the cold northern climates. Use them as inspiration for a magical, colorful event. Decorate with shades of green, blue, purple, and pink to mimic the colors of the Aurora Borealis. Use flowy, satin fabrics to give the movement of the Northern Lights. Ask guests to dress in bright colors. Have the DJ use cool lighting techniques to change the color of the room periodically. Holidays that fall in the winter months include Christmas, Hanukkah, Winter Solstice, Kwanzaa, New Year's Day, Chinese New Year, Groundhog's Day, and Valentine's Day. Many winter holidays feature countdowns such as New Year's Eve and Advent. 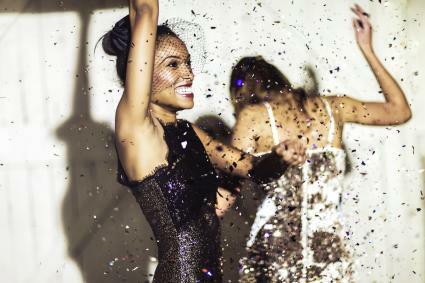 Use the traditional countdown activities as the basis for your dance. Decorate with numbers as table centerpieces and around the room. Have a ball drop at the end of the dance. Give each guest a mini advent calendar with tasks to complete at the dance like requesting a song or dancing with someone you don't know well. Create a multi-cultural Christmas affair with decorations, foods, and images of Santas from around the world. Set up food stations, each with traditional foods served at Christmas in a different country. Ask guests to dress in attire inspired by Christmas celebrations in other countries. Decorate with Christmas words written in different languages. Boxing day started as a way to celebrate opening boxes of monetary donations for the poor. Give your ball some British flair as you celebrate this uncommon holiday. Ask guests to dress in trendy British formal wear. 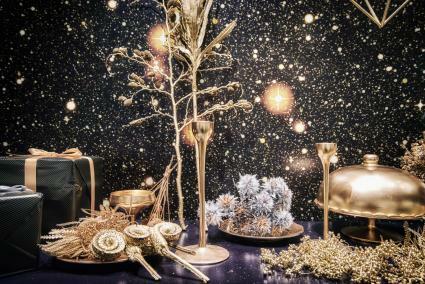 Decorate with small, decorative boxes filled with fake gold and silver coins. Display Union Jack flags on walls and tables. Serve up popular British foods and drinks. Think about the most iconic cold locations and use one of them as your dance theme. Imagine what a ball would look like if it were thrown by the legendary yeti! Use oversized chairs, tall tables, and giant decorations fitting for the large yeti. Decorate with white faux fur. Have a cardboard cutout yeti for guests to take pictures with. Bring the magic of a castle made from ice to your local event. Purchase ice sculptures in the shape of castles for decoration and that house food or drinks. Make the place look like a frozen wonderland by decorating with ice blues and silvers. Create a large castle guests can enter by stacking and securing clear, squared plastic bottles and containers. Penguins are notorious for braving some of the coldest weather and looking good doing it! Ask guests to wear only black and white like most penguins do. Serve up a sushi buffet as a nod to all the fish penguins eat. Make up a unique group penguin dance to a song that references tuxedos. Fire and ice themes are old news, now it's time to celebrate the furs that keep all kinds of people warm in icy climates. Ask guests to dress in attire that celebrates fur and ice. Decorate sitting areas and photo booths with faux fur rugs and pillows. Use faux fur fabrics along with crystal vessels and fake ice cubes to create tablescapes. Although winter colors vary by theme, there are a couple color combos that universally represent the season. From Christmas to Chinese New Year, bright red and gold paired with another accent color like green are popular during winter holidays. Decorate the room with real or artificial green Christmas trees decorated in only red and gold. Ask guests to wear only these three colors. Serve foods and drinks in only these colors. Another popular winter color combo is blue and silver. For some people, this color scheme feels more elegant. Ask guests to dress in shades of blue and silver. Use uplighting to give the whole room a blue glow. Stock the drink and food tables with silver serving dishes. Although it might not be a common winter color scheme, hot drinks like cocoa, coffee, and tea rule the season. Let these warm hues bring a cozy feel to your formal. Have a hot cocoa or specialty coffee buffet for guests. Ask guests to wear attire that falls in the brown or gold color family. Keep decorations lower in the room brown, gold, or tan then use white for higher decorations to mimic foam or marshmallows that typically top these drinks. Movies, TV shows, and songs that include winter themes make great inspiration for formal events. The Grinch book and movies aren't all about the title character. Those little Whos really know how to create an elaborate celebration. Ask guests to compliment their formal attire with wacky hairstyles inspired by Whos. Create decorative facades of whimsical Who houses as decorations. Label foods with names used in the movies such as "Roast Beast." 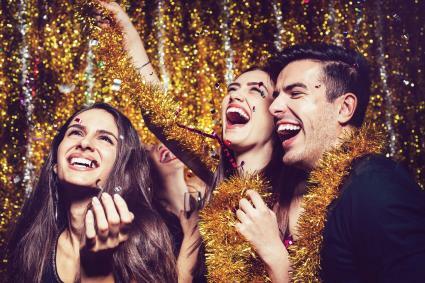 Get in touch with your inner child by hosting a masquerade ball inspired by the classic Christmas movie, Rudolph the Red-Nosed Reindeer and The Island of the Misfit Toys. Ask guests to dress in the colors worn by their favorite toy character and create a mask to match. Decorate with oversized kids toys like giant alphabet blocks and giant beach balls. Use cardboard to craft a large box photo op that resembles the packaging a Barbie or other toy comes in. 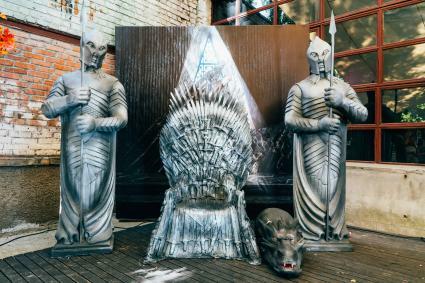 Give your formal a Game of Thrones twist when you celebrate the undead ice creatures known as White Walkers from the show. Ask guests to don makeup, masks, or costumes resembling the characters from the show. Decorate with smooth, shiny black fabrics and vessels to mimic the dragonglass that's deadly for these creatures. Use accents of ice blue to represent the iconic eye color of the characters. Winter themed formals can take place any time of the year and typically have a magical feel. Once you choose your unique winter formal theme, look for a venue that captures the spirit of that theme.